Published by Galde Press, these books are the first historical fiction books published about the the Lenape Migration from 1346 to 1585. The Frozen Trail to Merica books are written in narration to give human scale to an incredible feat that appears beyond man's ability. Some of the historical events actually occurred as written. Conjectural prose adds the unknown details of several events. Most characters are fictional, but under the same circumstances the actions of people would have been similar. Maps are included to provide a scale of the panorama of places. The factual fiction end notes contain relevant information to the story. 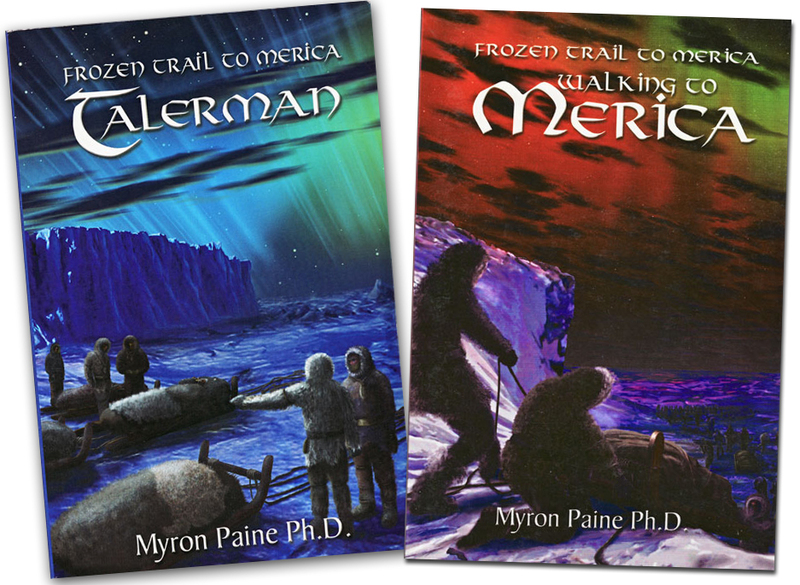 Frozen Trail to Merica: Tallerman is a historical narration that focuses on two of history's mysteries: Where did thirteen Indian tribes come from? Their story tellers say that they crossed over the salty sea in the east. And is the Walam Olum a real history? A historical narration that focuses on the mystery of what happened to the Norwegian people in Iceland during the Little Ice Age. It explores thefirst segment of the migration of the Norse Christian Lenape to New Jersey and the Atlantic coast. The narration is based upon the oldest true history in America, the Maalan Aruum (aka Walum Olam.